Cluster Bolt will produce 4 Gauss Charges for you, and 1 Gauss Charge for your opponent. It will still cost GGGG as it did before. Some unit sets, notably those involving Cluster Bolt and other strong green units like Nivo Charge or Venge Cannon, almost certainly leave players no other option but to mass Conduits in the vast majority of situations, making other units irrelevant. It’s conceivable that players could even study sets like [Base Set + Cluster Bolt + Venge Cannon] to the point that they were completely solved. These two units together occur in about 1% of Prismata games, and many Base + 8 games involving Cluster Bolt and Venge Cannon essentially reduce to [Base Set + Cluster Bolt + Venge Cannon] because of how resistant the Cluster Bolt rush is to counterplay. Hence, solving this Prismata subgame could yield complete solutions to a non-trivial fraction of all Prismata Base + 8 games, which is definitely something we don’t want. Many of these issues were raised in a recent reddit thread by Prismata player Arkanishu, and a number of other players echoed similar thoughts in the comments. We were pretty confident that it was time to put an end to Cluster Bolt rushes. Change Cluster Bolt so that the Gauss Charges it provided were no longer invulnerable while you created them. Change the cost of Cluster Bolt to be completely different (e.g. something like 4G instead of GGGG) so that it would no longer be possible to get a ton of Cluster Bolts using only Conduits. Rebalance Cluster Bolt’s damage effects. Ultimately, after looking at the numbers, we felt that Cluster Bolt was actually just too good in its current state. 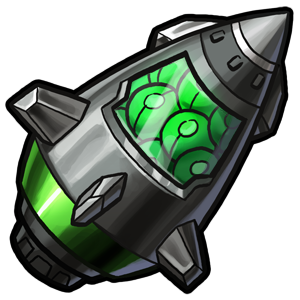 In situations where the 2 damage “backswing” done by the opponent’s Gauss Charges was of low impact (either because it’s absorbed by a Wall or only used to damage high HP units like Conduits, Trinity Drones, or Gauss Cannons), Cluster Bolt offers too much value for too little cost. This led us to conclude that the best thing we could do was simply adjust the balance of Cluster Bolt by reducing the amount of “backswing” (and reducing the damage proportionally). The proposed change (4 Gauss Charges for you and 1 Gauss Charge for your opponent) has a number of effects. In a purely mathematical sense, it’s actually a bit of a buff to Cluster Bolt. The opponent’s Gauss Charges cause damage half a turn before yours do; thus, reducing both sides’ damage by one helps you out half a turn sooner than it helps your opponent. However, the change severely nerfs (debuffs) the effectiveness of all-in Cluster Bolt rushes, because the attacker pays 40 gaussite for 40 damage, rather than 50 damage. This makes it much easier to defend against Cluster Bolt rushes, even using units in the base set. Cluster Bolt all-ins will definitely still be a thing, especially with units like Venge Cannon around to give them some support. However, building a Conduit on turn 1 should no longer be mandatory in random sets with Cluster Bolt and Venge Cannon, and counterplay should be more effective. As usual, we’ll monitor things after the change goes live to see if further changes are necessary.